Welcome to Make It Real, your gateway to a world of creativity! 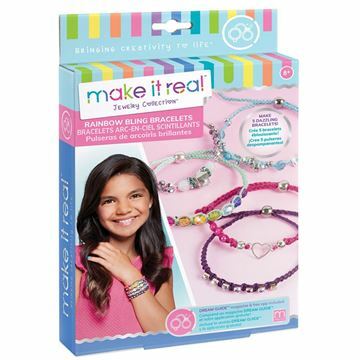 Proudly distributed in New Zealand by Holdson, Make It Real manufactures beautiful and compelling products for tween girls around the world, focusing on current trends within the Jewellery, Fashion, Décor and Beauty industries. 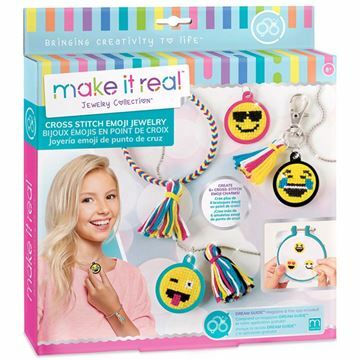 Make It Real helps empower young women to think creatively through interactive play, shaping their pathways toward creative careers and looking to inspire young creators to make their dreams real. Surrounding every product is a content experience that provides a window into the real world of design and creativity. 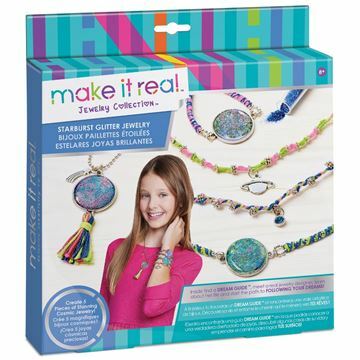 Meet incredible role models, watch amazing videos and explore one of a kind creative products. 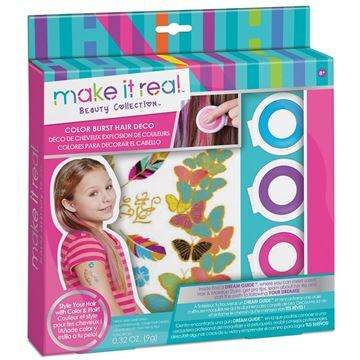 Make It Real – on a mission to get girls inspired! Take your dreams and make them real! Interior decorators of tomorrow, learn the basics of textile weaving with this hands-on DIY project. 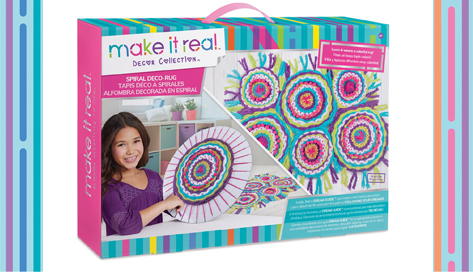 Includes: Cardboard loom, coloured acrylic yarn, rope and pom pom ribbon plus an exclusive Dream Guide.